To provide decent, safe, affordable housing. To ensure our residents needs are satisfied we encourage participation in the resident association. Resident Council officers are elected to lead their organization and to serve the housing authority in an advisory cacpacity. We maintain a consistantly high level of professional care and responsibility when working with our residents. 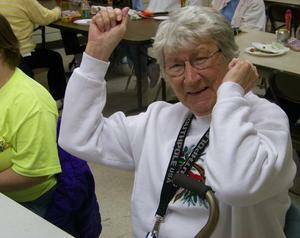 Employees receive work related training each year so that we can better care for our residents. We meet fair housing standards as well as HUD regulations, local, state, and federal codes. The Housing Authority of Williamsburg has been designated by HUD as a High Performing Agency. 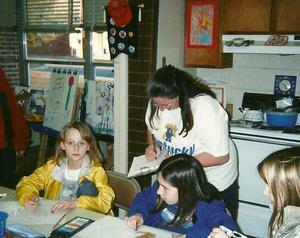 Art class is always popular with the children. 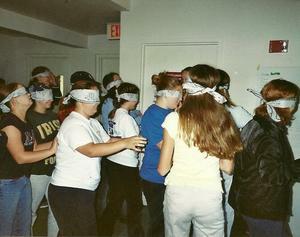 Teen Leaders participate in a trust building exercise.